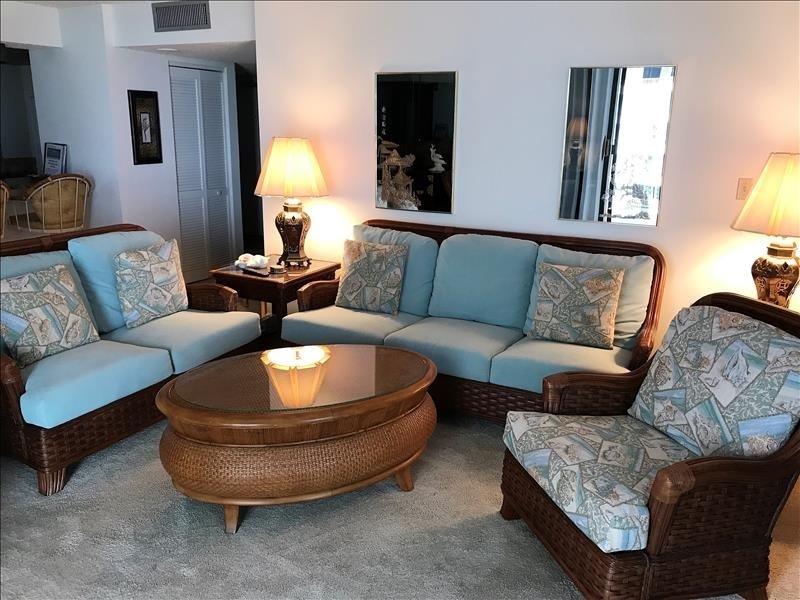 **MONTHLY RENTALS ONLY** New Living Room and Dining Room furniture and carpet in this 2 bedroom 2 bath condo on the northside of the building. Great view of the beach. Both bedrooms have a queen size bed. It has 3 televisions.